Last weekend I hosted a Mommy Daughter date for our Church ( +The Church of Jesus Christ of Latter-day Saints ) girls ages 8-11. We decided on going simple in our planning. When we were first talking about what we would use I remembered talking to +LolliPics at Snap Conference in April. 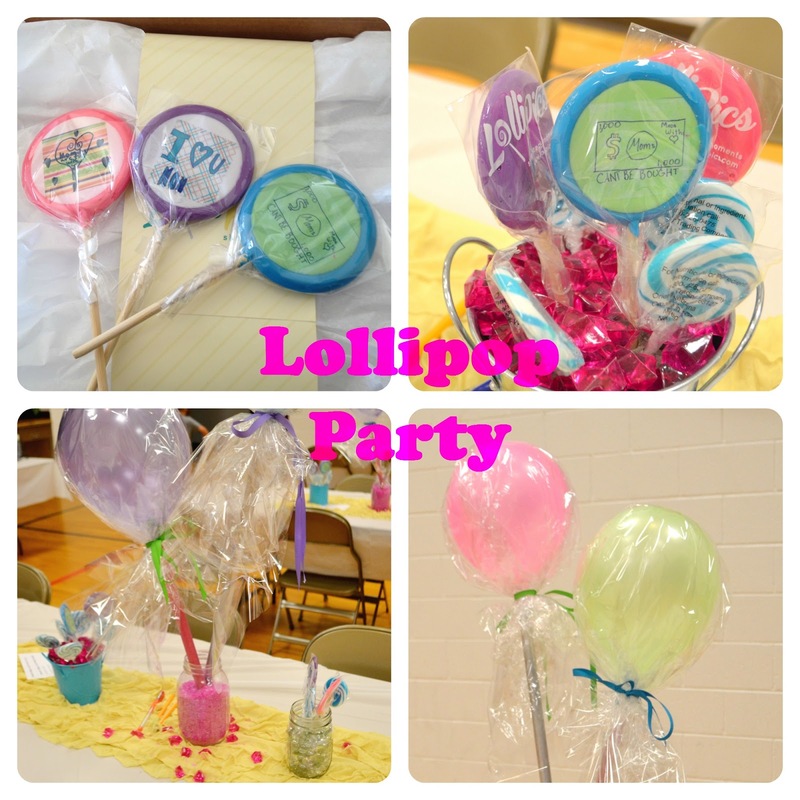 That gave me the idea to have the girls get into groups and then collaborate on a lollipop design. They turned out so stinking cute! Plus the moms loved them just as much as the girls did. Didn't the suckers just turn out adorable!?! The girls were so proud of them and so excited to give them to their moms! For the balloon lollipops I just stapled balloons to spray painted dowels. Then I covered the balloon in cellophane and tied it up with a pretty bow. Then I stuck the balloons into mason jars and random vases I had lying around the house filled with decorative rocks. Plus, a little ruffle fabric on the tables for a little splash of color. The buffet table. Super simple, but very cute! 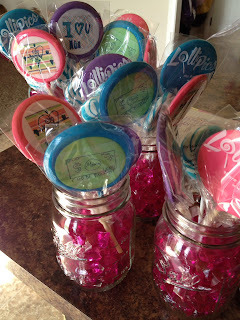 I love the lollipops and how the table came out, so cute! 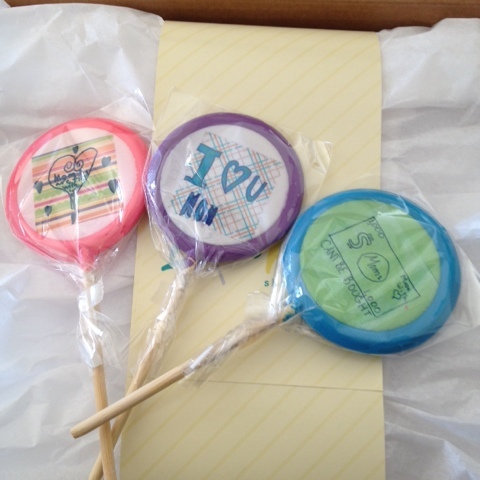 This is cute, just love those lollipops! What an adorable theme! So unique and so happy! I love the balloon sucker centerpieces! How festive! Like a little treat you can take home after the party! This is a fun idea. Dating our children is soooo important. What a fun idea for moms and daughters! I have three girls. So cute! 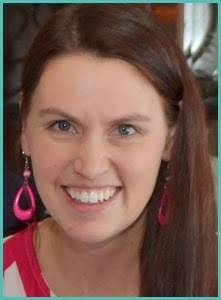 Thank you for the fabulous idea for my daughter's next birthday party!